The 2006 was a prettier vintage. It was a bit more fruit forward and a little more balanced, but this is still a wonderful effort. The nose has aromas of sour black cherries, dark chocolate, minerality and a minor floral note. The color has picked up a brownish tinge showing some age and the freshness is gone, but the palate is still showing strong acidity – making the wine still very lively in the mouth. The tannins are very subdued and the alcohol is very well integrated. The texture is gorgeous – very soft and pleasant. More old world style, focusing on balance and complexity, but not quite hitting the mark. The fruit is in front but subtle, moving to a mid-palate with vanilla, oak, leather and some mineral aspects with a medium-long finish of bitter chocolate. I enjoyed this California Pinot that didn’t follow the crowd. Fabulous idea! This is a great way for a medium size winery (under 40K cases?) to reach a broad audience. Technology provides opportunities, if we know how to leverage it. Unfortunately, the technology had its challenges. The audio had a terrible echo, which could have been eliminated by muting all the sites other than the point of origin. The message was a bit scattered, but the mother of the host family was awesome! She was interesting enough to host her own wine talk show… all in all, for a first effort at internet marketing – a gallant one, and they will get better over time. Keep it up guys! Good Luck! I liked the lower cost Sonoma Loeb on its own, but the Chappellet chard would be best accompanying food. This was a VERY traditional Napa style chardonnay specifically made for accompanying food. The color was a very pale straw and extremely clear. The nose was very weak, but bright, with notes of grapefruit, lemon curd and oak. The palate was a touch sweet, light-bodied with very high acidity. The flavors on the palate matched the nose with a short finish. This is not an easy drinking aperitif. It would be much better with a nice seafood, or pork dish. This is an attempt at a classic Burgundian oaked chardonnay. Very weak nose, showing nail polish initially, then aromas of lemon curd, vanilla and oak. Medium bodied and very dry with high acidity. Palate was soft, but had a minimum of depth to the flavors. I sort of enjoyed this for an easy drinking chard at a wine bar kind of beverage. It resides somewhere between a food wine and an aperitif. Over-priced at $30/btl, but decent enough. The winemaker tried so hard here, but missed the mark. I guess if you were looking for a Rombauer chard you might find this appealing, but they do over-the-top chards much better. Big nose of lemon curd, butterscotch and pineapple with a strong presence of oak. There is some minerality, but it does not come through to the palate. The wine coats the mouth with rich textures. The palate simply brings the nose through with no mid-palate and there is a medium finish of pineapple. Only medium acidity… so food pairing options would be limited. There is too much oak and the freshness is lost because of it. I didn’t care for this wine. Regarding the Pinot Noir, the lower priced Sonoma Loeb again was superior to the higher-priced wine. Of Cab Sauv and blends, the Pritchard Hill Cab stood out by far as superior, but at $120/btl… my goodness! The nose is full of cherry cough syrup, browned butter, oak and medicinal overtones. High acidity and medium tannins provide a fair amount of structure. The texture is very light. The palate is full of red cherry and oak. It also has a smokey flavor with a light spice character. This is too fruity and the oak is not integrated. There is enough structure and complexity present to elevate it a bit. A strong oak character. The nose is full of sweet red cherry, butter and oak. The acidity is very high with low tannins. Not very well balanced. The texture is very light. This could have been very good with more freshness to the fruit. On its own, the acidity bites… but paired with the right foods, this wine would be awesome. The flavor profile is a bit simple. Powerful nose of alcohol that did not blow off dominates. This is a light bodied wine, with high acidity and high tannins. Good structure with reasonable balance. 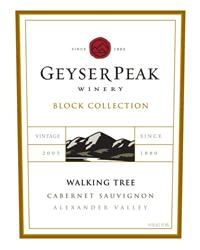 The palate is fruit forward with sweet cherry and black raspberry moving to a mid-palate of bitter dark chocolate and a long slightly bitter finish with earthy undertones. This would be a very good table wine, pairing well with richer food dishes, but I would expect it to cost under $30/btl. Very dark extracted looking wine with an intense nose of alcohol, plum and blackberry. High acidity and high tannins – very young. This has a light mouth-feel, offering more of a food wine approach. The palate is fruit forward with sweet plum, blackberry and white pepper. The fruit is very concentrated. The mid-palate brings in oak and toffee and then finishes with vanilla. A middle of the road Napa cab. A beautiful wine. The nose is full of rich black plum with a pretty floral character, moving to menthol and alcohol. High acidity and high tannins with a nice mouth-feel. The palate is fruit forward with extracted plum and blackberry with a mid-palate of tobacco, tar, oak and vanilla. The finish is long with a mildly bitter dark chocolate flavor. This wine is balanced and has good structure, but it is still young and would benefit from another 3-5 years in the bottle. Powerful aromatic nose of black fruit, spice and vanilla. Fruit forward palate of blackberry, red plum and black currant. High acidity with medium tannins. Tasted this last year. Still the same big fruit, but the tannins are beginning to soften and it is developing some texture. Needed a little time for the alcohol to blow off. The complexity is improving with the addition of more bitter chocolate in the mid-palate and a short finish with some graphite coming through. The tannins are starting to moderate and I like a red wine with some backbone, so I am going to say this wine is in its optimum drinking window. Drink now and the next couple of years, at most. At $18/btl, this wine has my vote for the best value cab sauv in California. I would expect a wine of this caliber to be in the $30-35 range in Sonoma County. I prefer not to put a number to wines if I can, but in this case I will put that aside and give it an 89. It needs more minerality, the mid-palate and finish could be stronger and the texture wasn’t there to be rated higher, but for that kind of price… this is impressive!